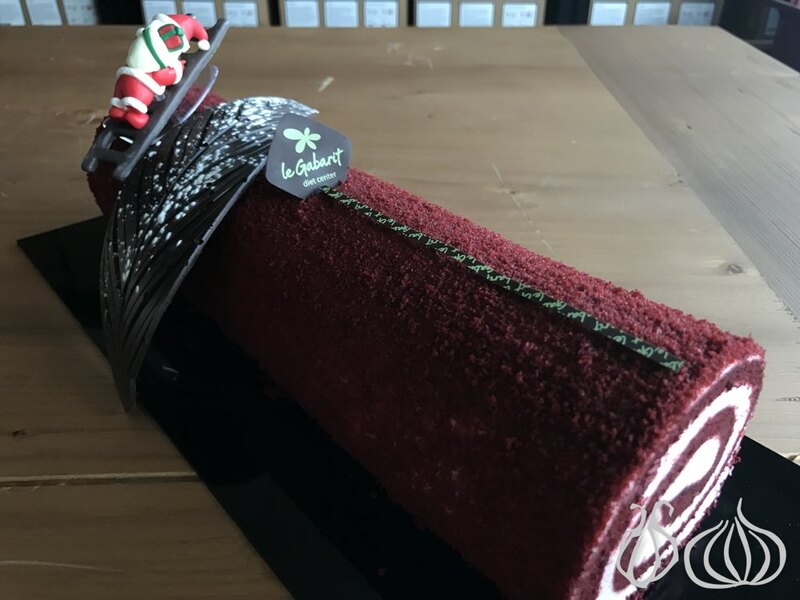 Who said enjoying a Christmas log should be fattening? 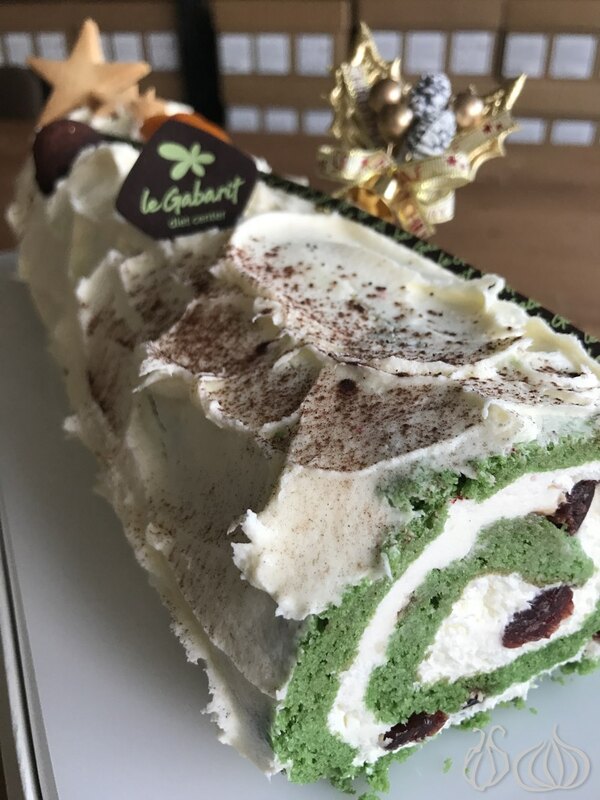 This Christmas, Le Gabarit Healthy Christmas Logs will allow you to celebrate the season while staying fit. 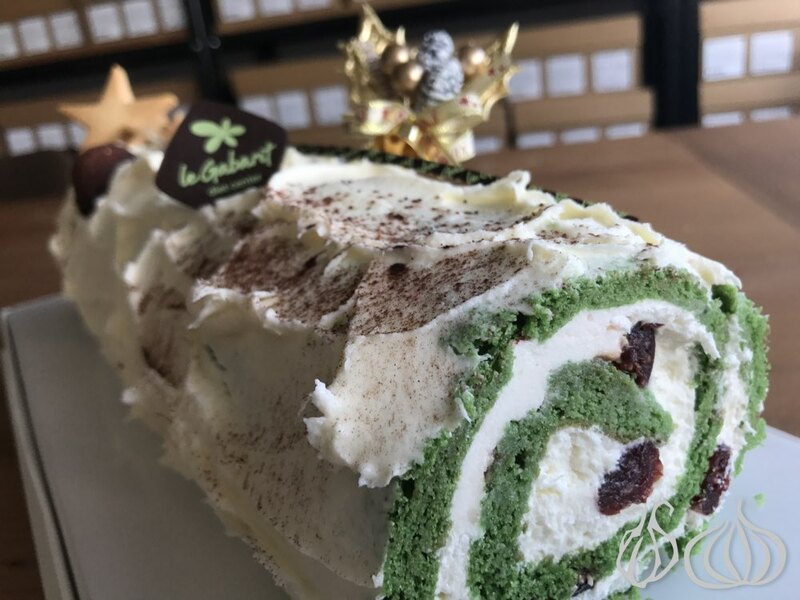 Just over a week before Christmas and most of us are trying to cut down on food intake to give us a change to indulge freely during the festive week. 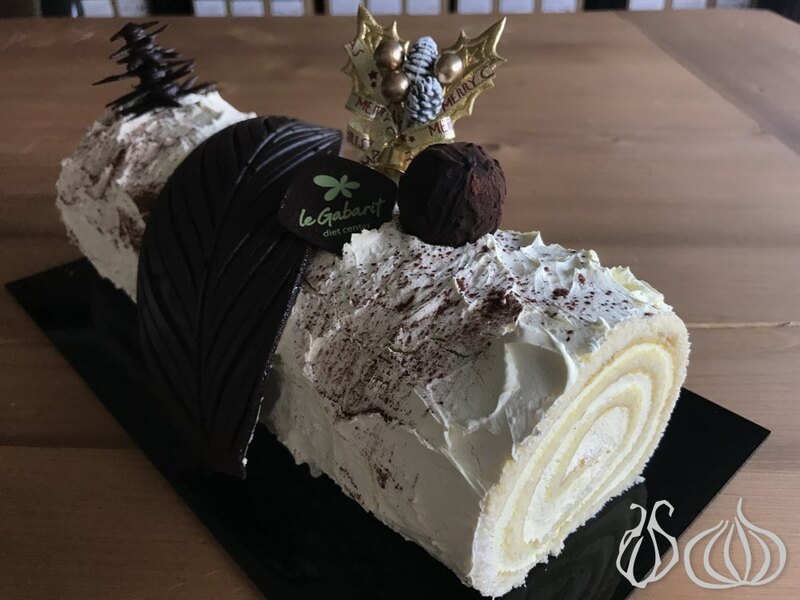 Light Christmas logs do exist! 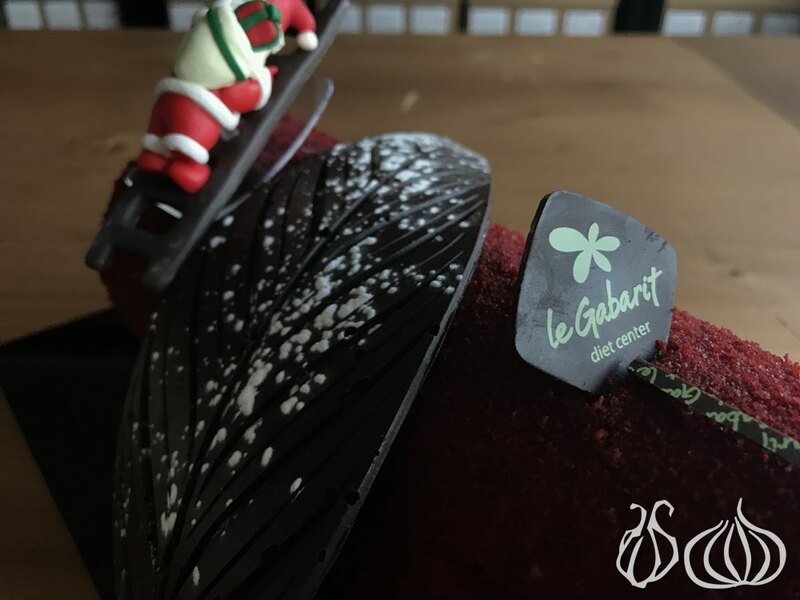 Today, I received a selection of Christmas logs from Le Gabarit. 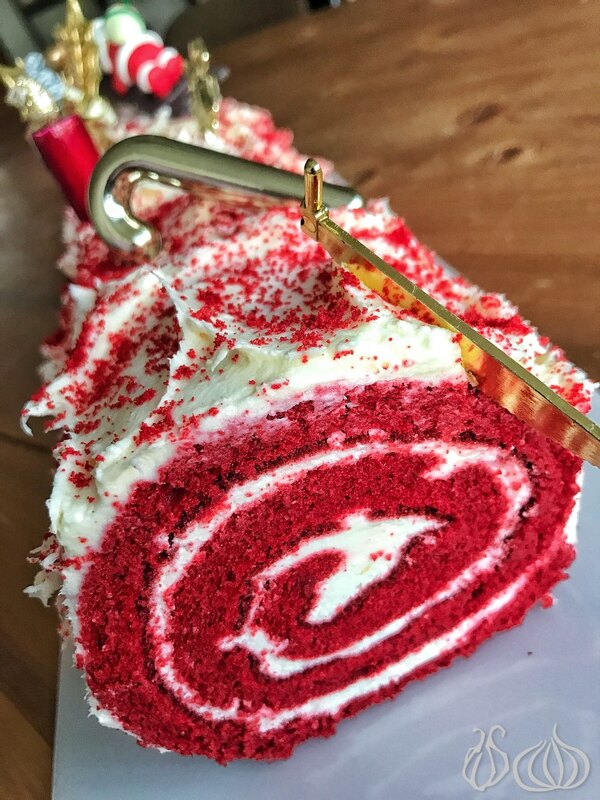 They look amazing and trust me they taste just as good as the traditional ones. 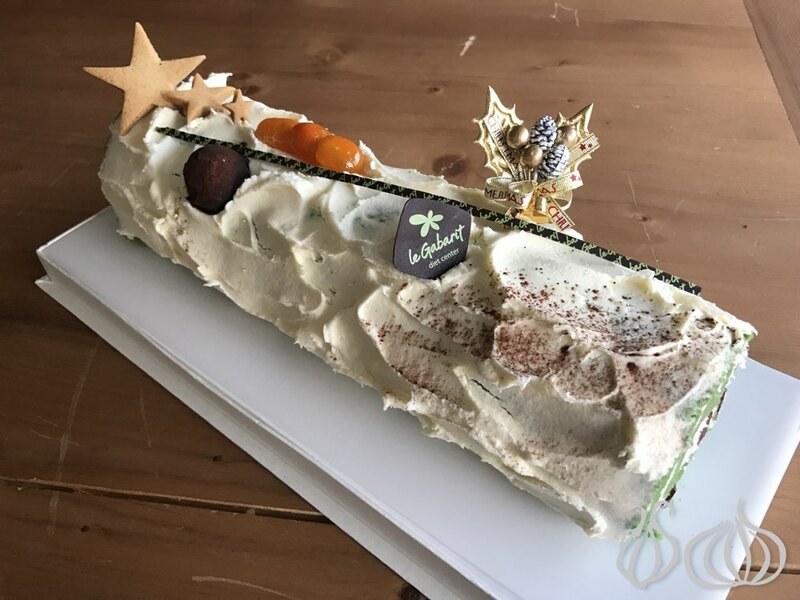 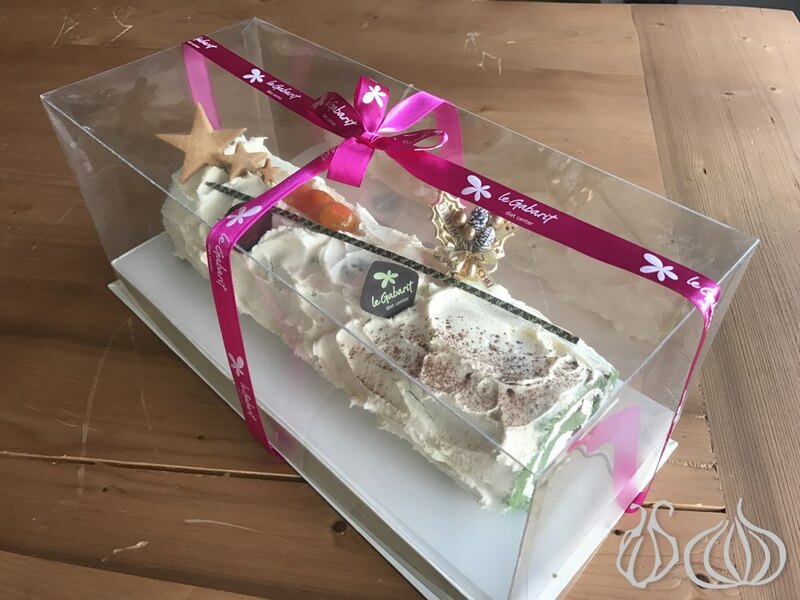 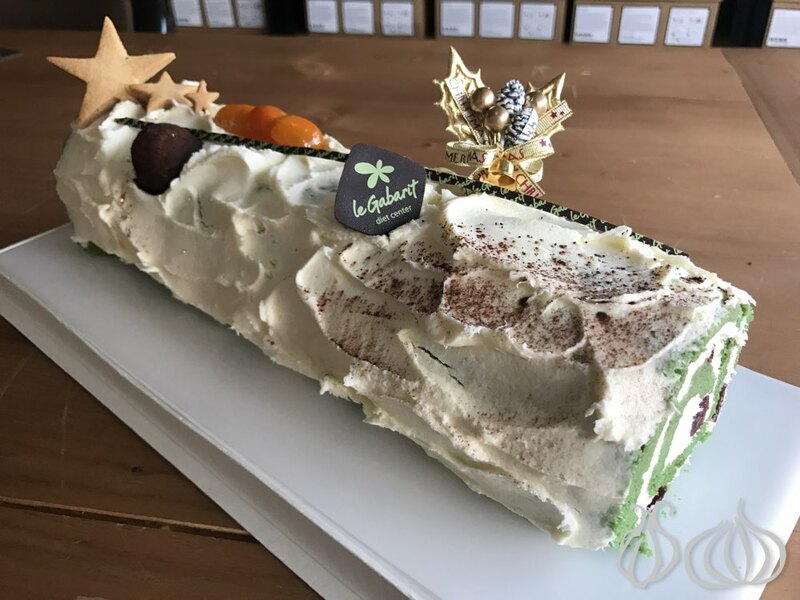 Beautifully decorated, the white buche includes biscuit, kumquat and has a chocolate truffle on top, the sponge roll is green and filled with dried berries. 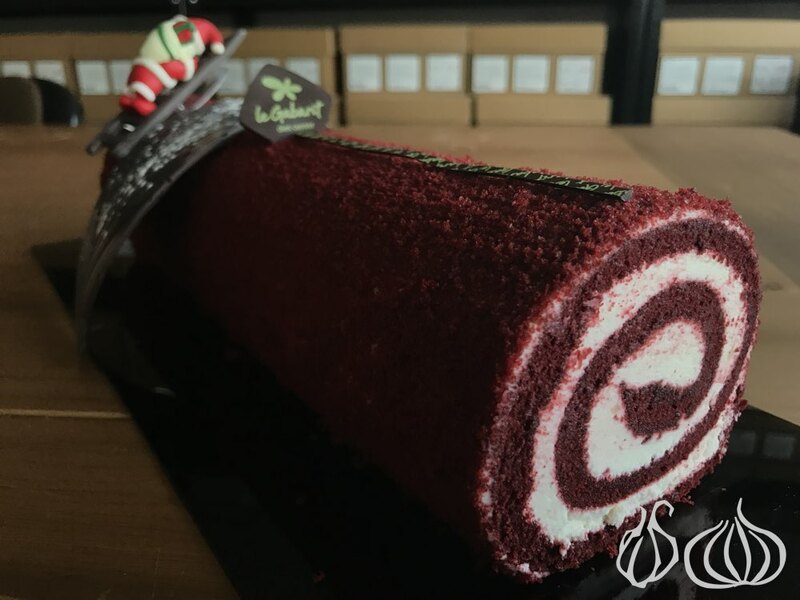 Lightly creamy, pleasantly sour, light and airy, it offers a moist sponge and an exciting sweetness. 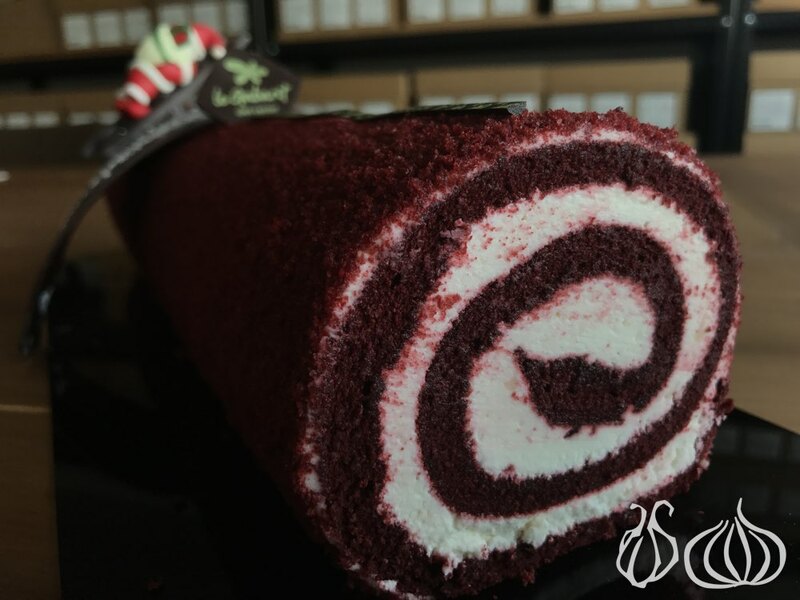 A moist burgundy colored sponge rolled around white cream. 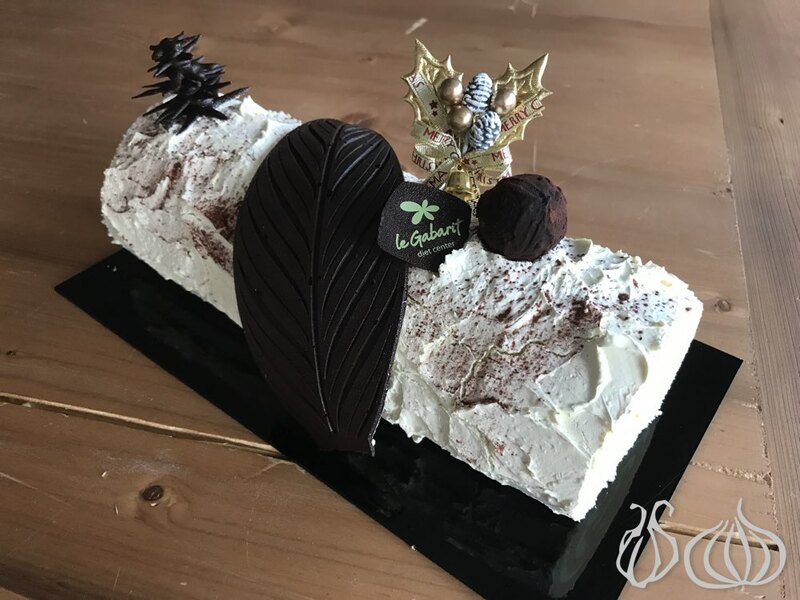 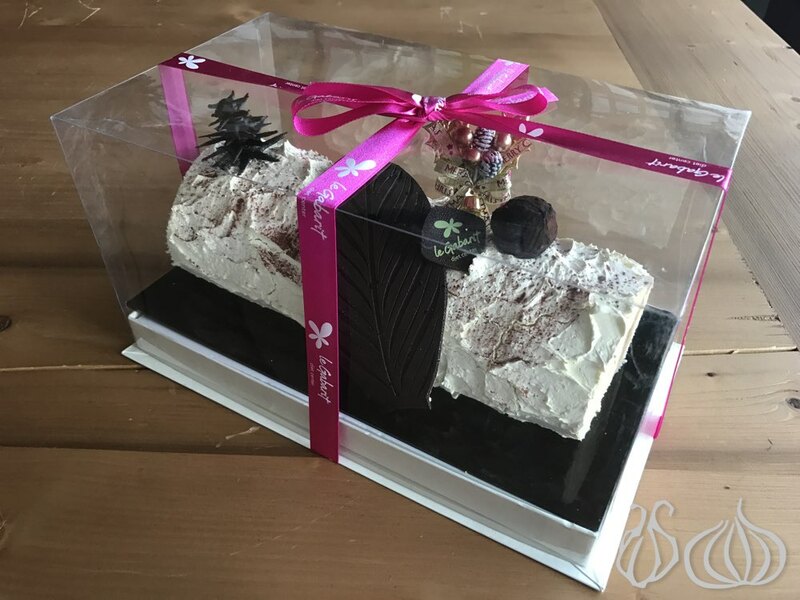 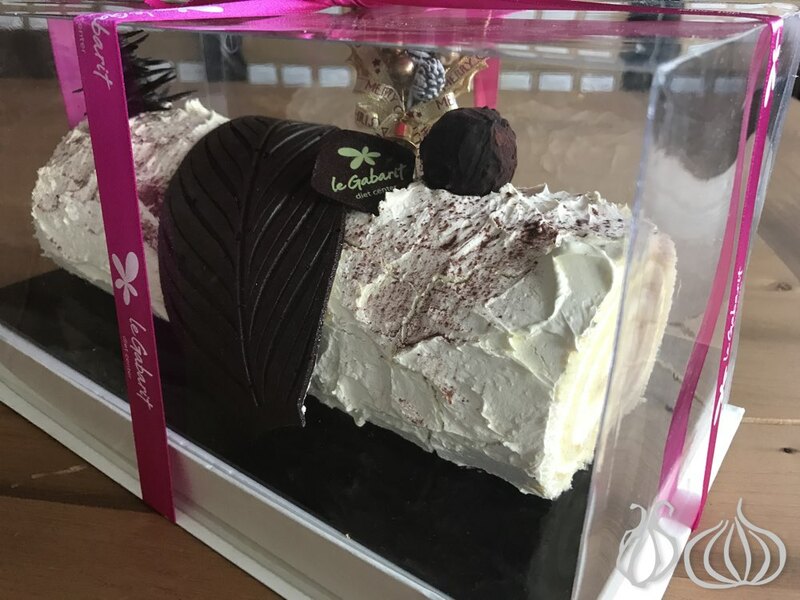 Classy and decorated with a leaf of chocolate, this is a log you can confidently take to a friend who invites you for dinner. 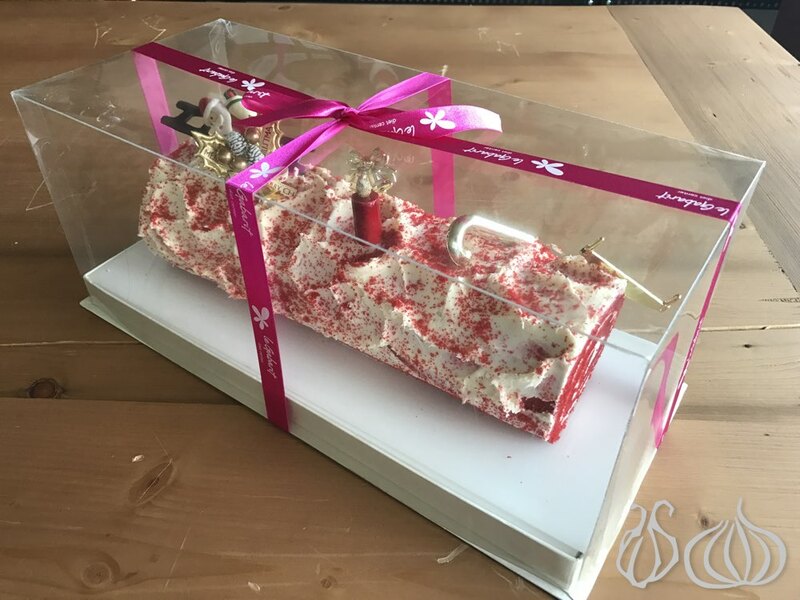 It comes on a base of black plastic. 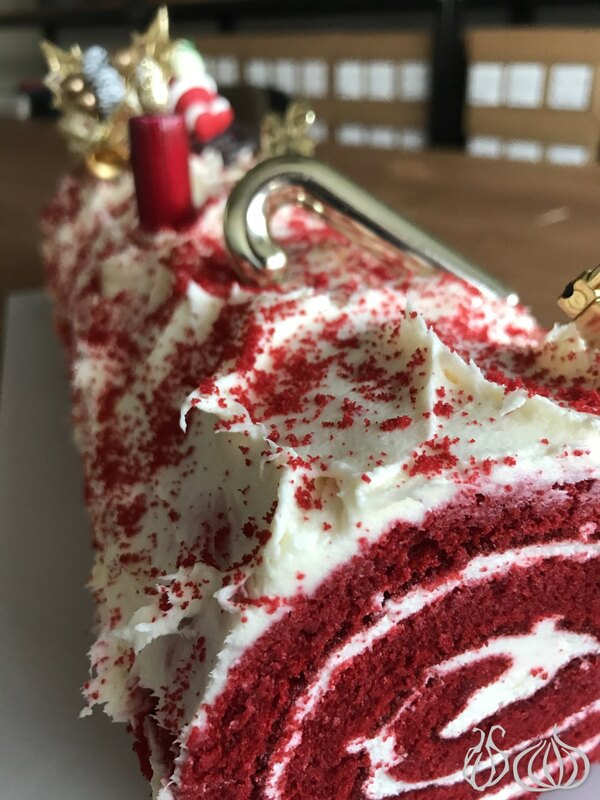 I like how the sweetness is subtle and fades quickly. 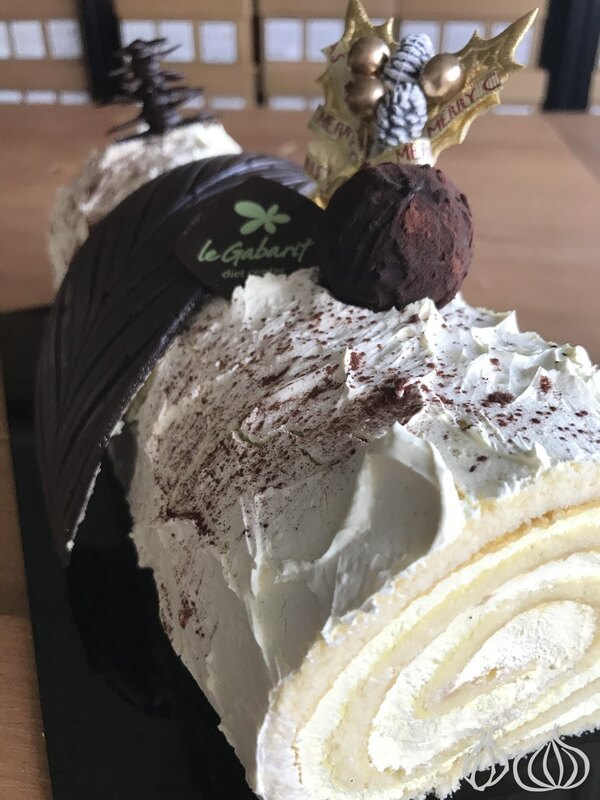 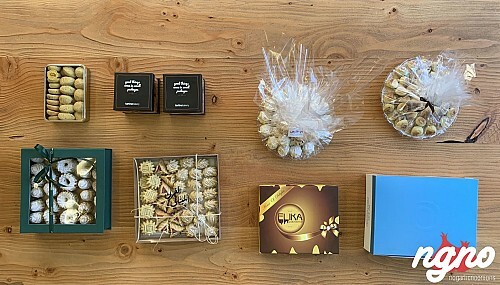 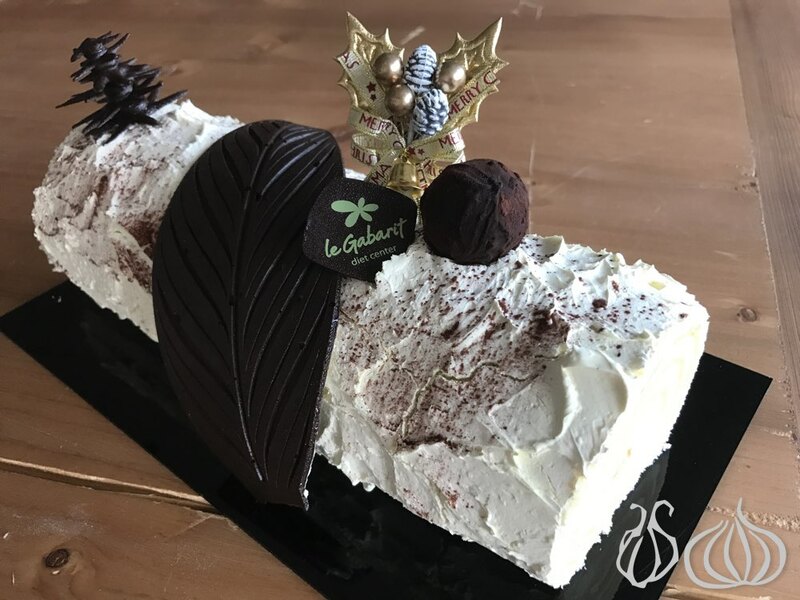 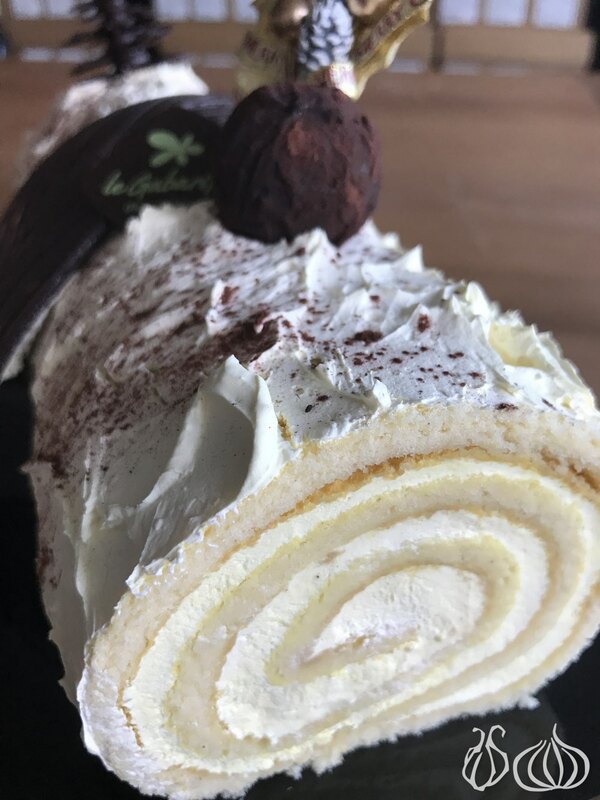 White, cream, a chocolate truffle and chocolate leaf, the conventional buche is lighter than one can imagine. 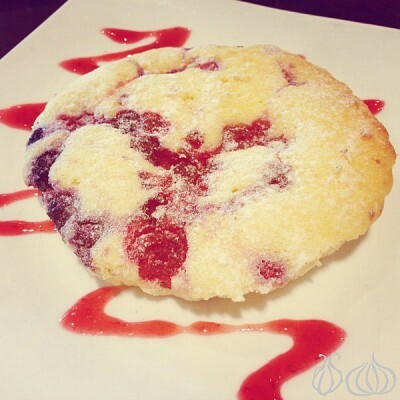 Light and airy cream, no sugar and a pleasant sponge. It's so fresh and simple that I could easily have had more and more. 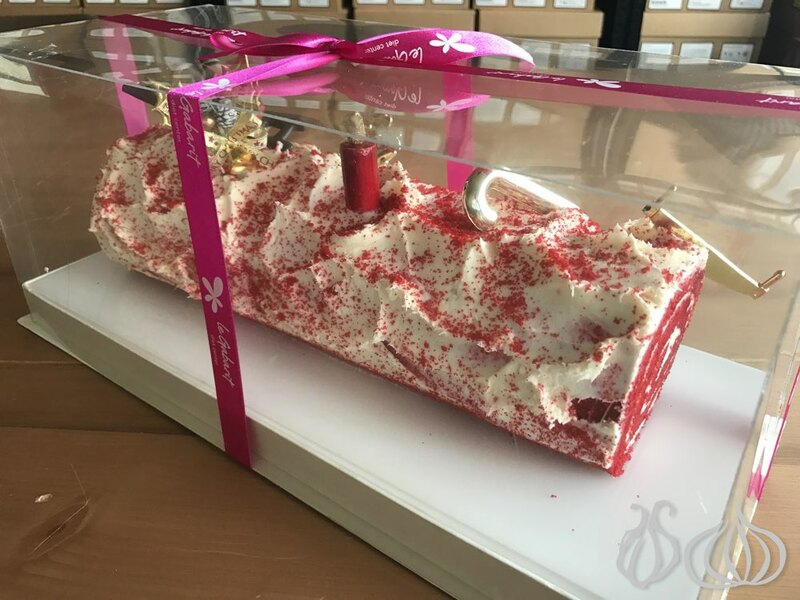 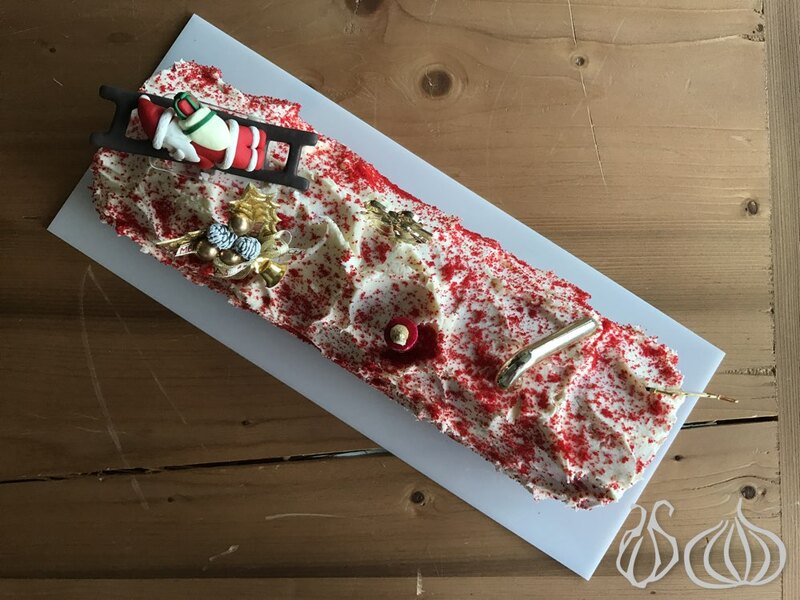 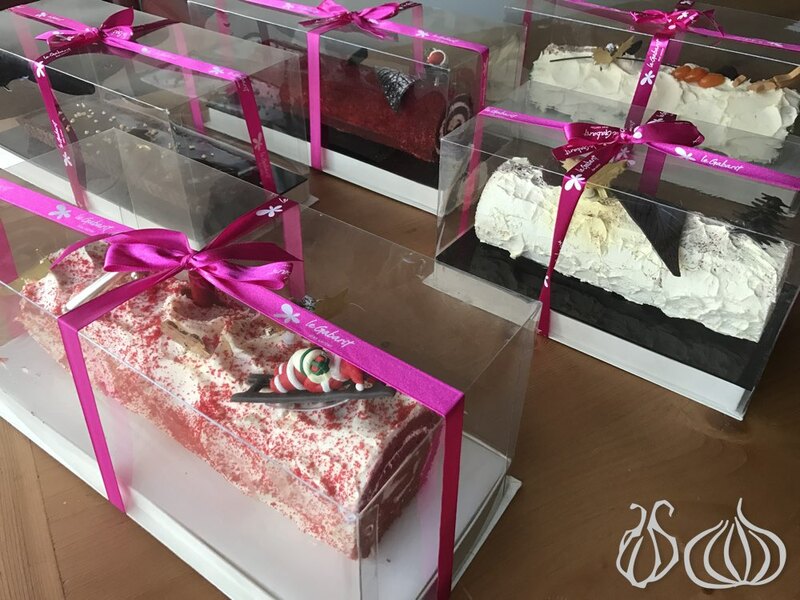 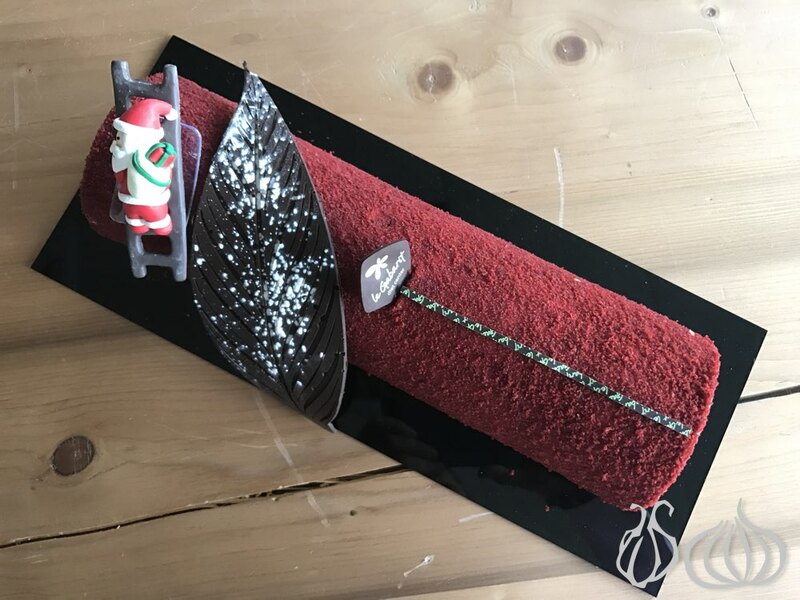 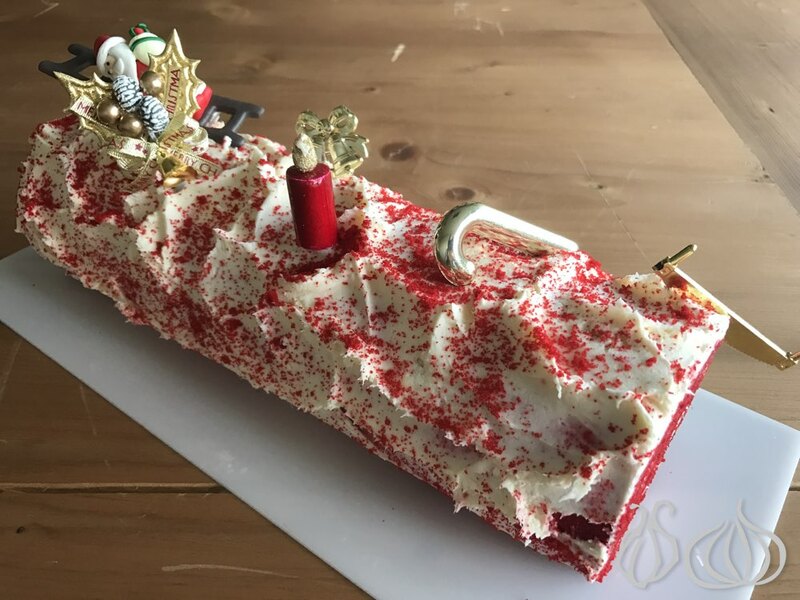 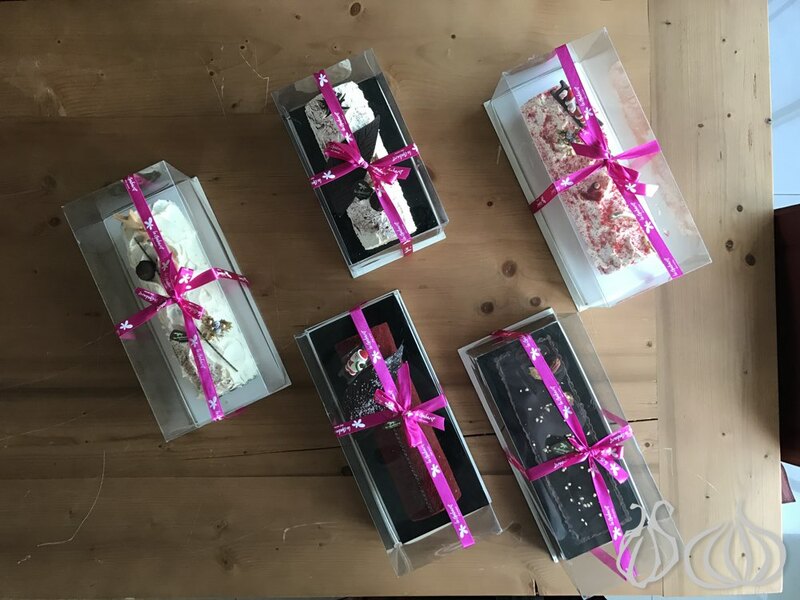 My favorite is the bright red velvet buche - full of flavor - a complicated blend of flavor and texture so beautifully decorated that it actually feels like it was sent by Santa himself. 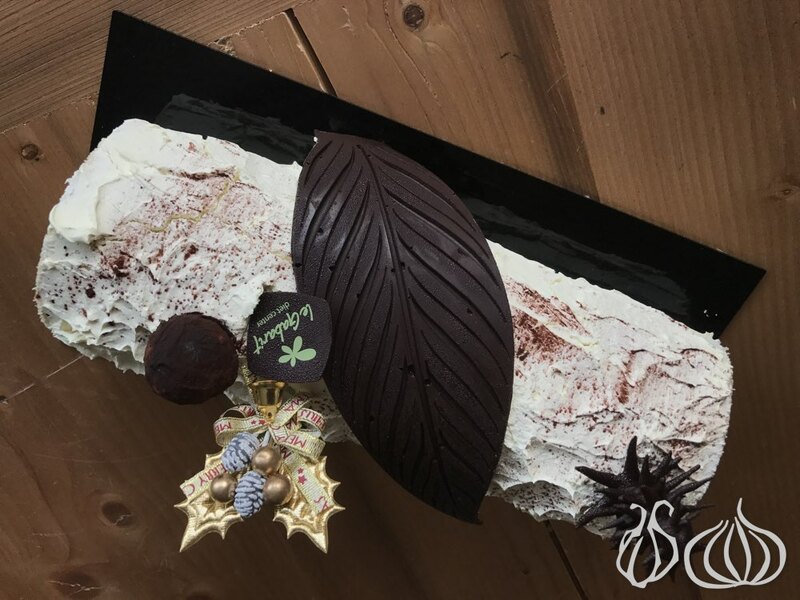 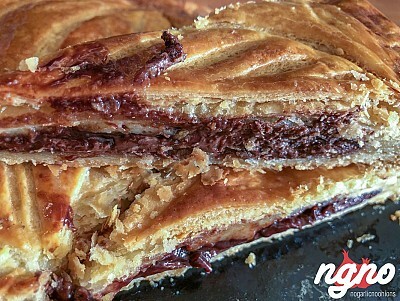 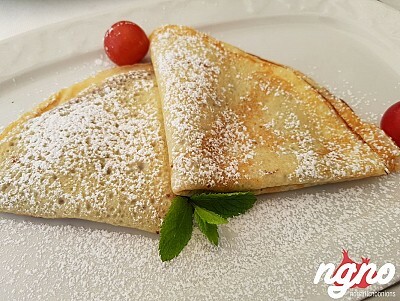 Creamy but light, sour and sweet and decorated with festive and decadent golden leaf. 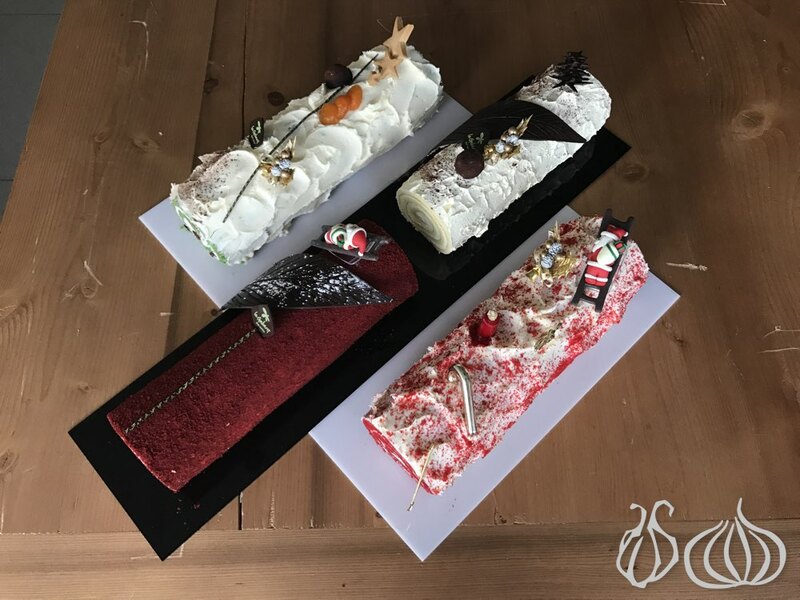 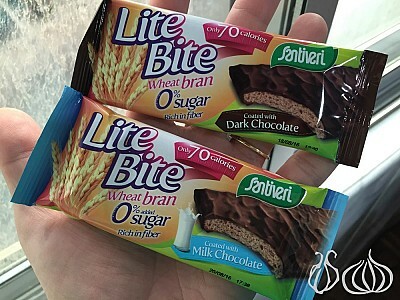 I recommend these cakes for the holidays. 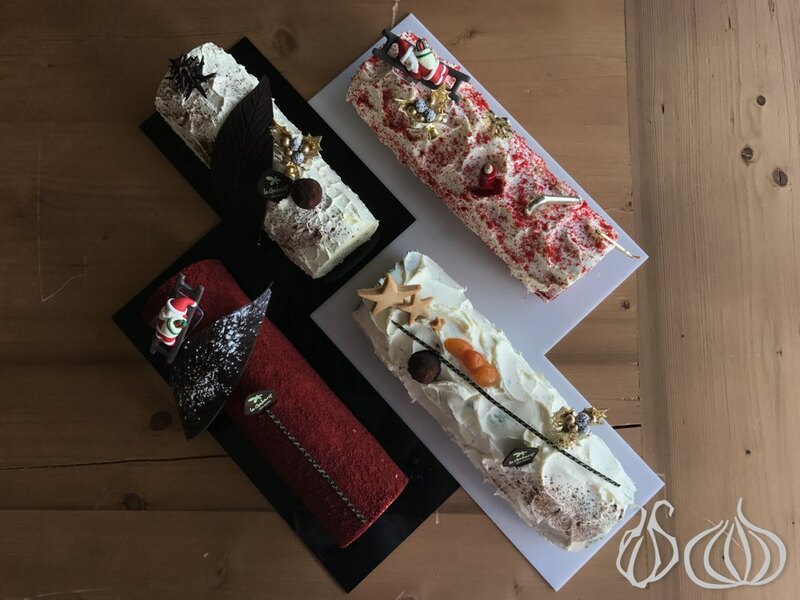 Al Shater Hassan Palace: Good Service, But Not Great Food! 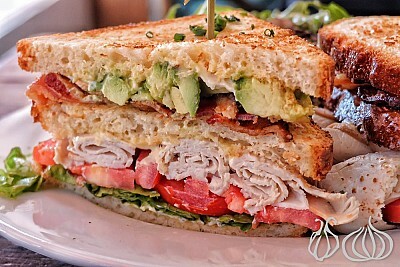 La Boulangerie San Francisco: The Reuben Sandwich!